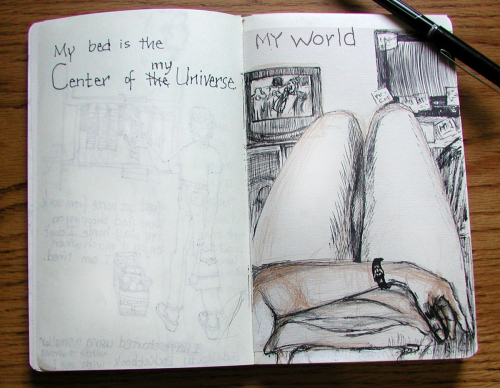 My idea is to illustrate my days. I am telling the reader about my life and this is THE Center of MY Universe. I live in two rooms and watch too much t.v. My hands are uniquely knobby and distinctive. 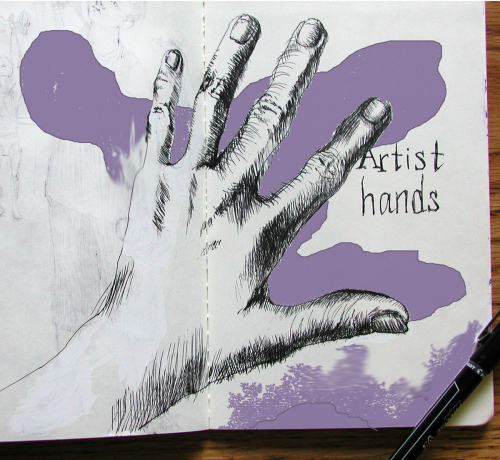 I feel my art energy in my hands and use this energy to let it all out... poured onto these pages. 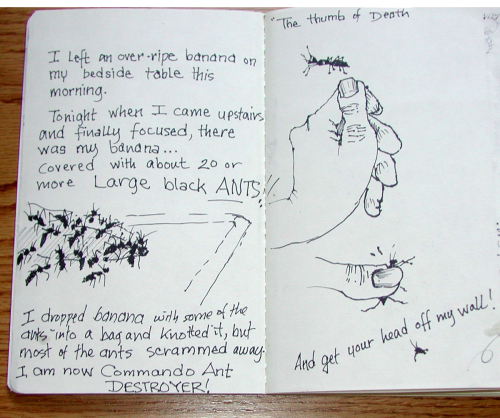 "The Thumb of Death", Ant Heads! One day in the life of me, ants in my room and I resorted to murder when I saw how many there were.